Want to share your e-book, newspaper or any other file online? Use publishing platform ISSUU and allow users on your website created in WebWave free website builder with no coding read it without exiting your website. Upload the file on issuu.com. Change style so it suits you best ale select "SAVE & GET CODE". 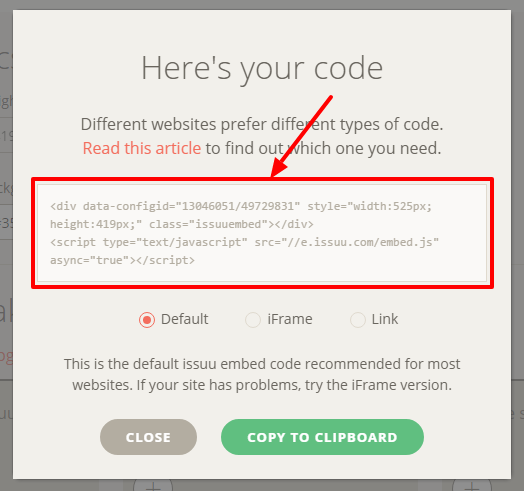 Add to your website an HTML, CSS, JS element. 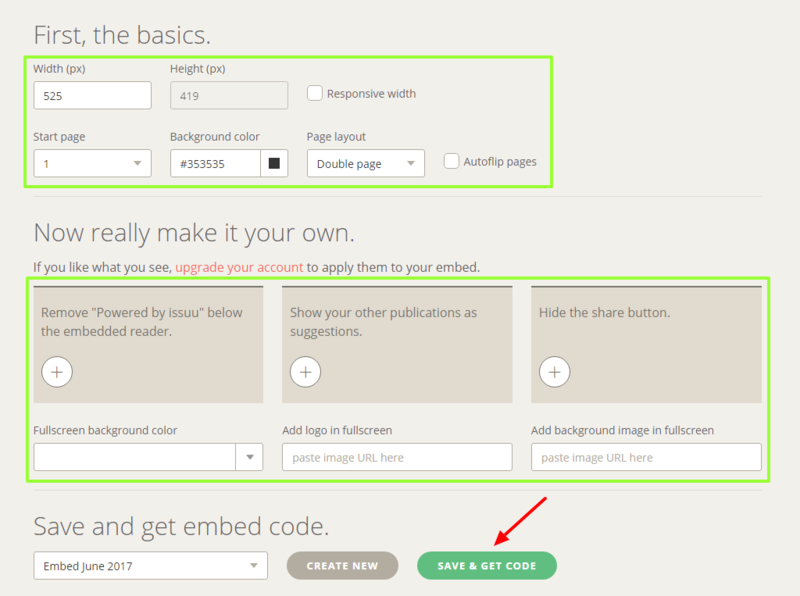 In the element, replace the default code with the ISSUU one. Save changes and publish the website.